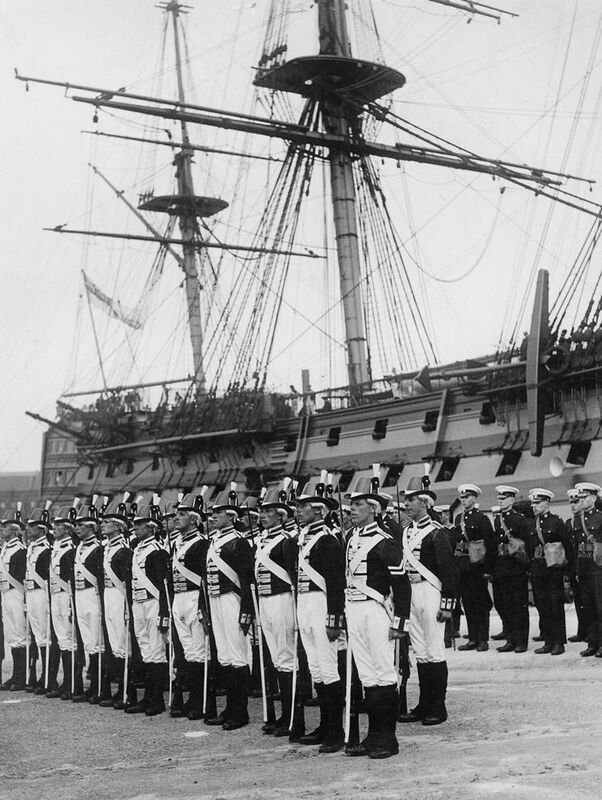 A group of naval personnel, dressed in early nineteenth century Royal Marine uniforms, stood beside HMS Victory (launched 1765). Image taken during the 1930s. This Ceremony Beside HMS Victory, 1930s Art Print is created using state of the art, industry leading Digital printers. The result - a stunning reproduction at an affordable price.